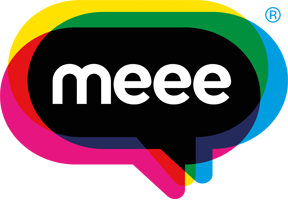 Here at Meee our employment programmes help people realise their skills and motivate themselves to find, achieve and stay in work. With this in mind we have put together our top 10 tips for smashing that job interview. When in doubt dress smart – most job interviews will specify a dress code, if they don’t it is better to dress too smart than too casual. Don’t take mum/dad/partner/dog in with you – the company are interviewing you and only you. It doesn’t look good to have your mum holding your hand all the way through the interview. Be on time – it’s just polite and once again first impressions are so important. Say hello, smile and be nice to EVERYONE – you never know who you’re talking to, receptionists, people in lifts and cleaners, they might just mention you to their boss or they could even be on the interview panel. Research the company – you should have done a bit of this before you applied for the job but now it’s time to really get to know the company, research who’s who in the company and any recent campaigns and projects. Look through some typical interview questions – there are loads of these online here. Don’t ramble with your answers - practising some interview questions will help with this. Bring a note book and make notes – it makes a very good impression, it make you look interested in the company and usually there’s a lot of information given at an interview, it might help you to write some of it down. Have some questions to ask at the end – again this makes you look interested in the company. Ask about the wider company, any campaigns, ask about your interviewer’s job or position within the company. Never ask about job perks such as freebies, discounts or holidays. Say thank you – even if it was the most horrific interview you have ever done, thank the interviewer for their time, smile and shake their hand.